In 2003, an ancient Roman cemetery was discovered by a team of archaeologists, lead by Kurt Hunter-Mann, under the northern England city of York, but the purpose of the random burial ground was not easily determined. Some 80 men were buried there; who were they, and what did they die from? 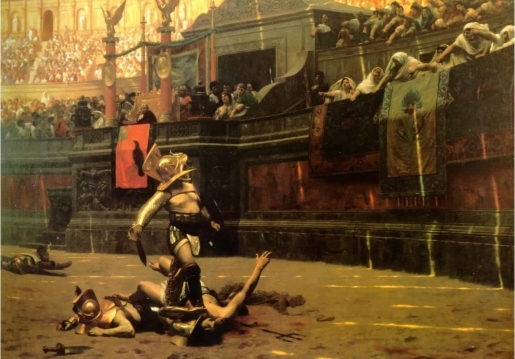 There were signs of big funerals and violent deaths, but it wasn’t until carnivore bite marks were discovered that researchers felt confident in saying they had stumbled across the final resting place of Roman gladiators. The ancient skeletons help reveal more about the lives of gladiators, their relative size and strength, and just what the Romans thought was fun, in addition to valuable information about Roman funeral rites and various religious cults of the time. The finding is incredibly well preserved, according to scientists, who plan on studying the remains and discoveries found in York for years to come.